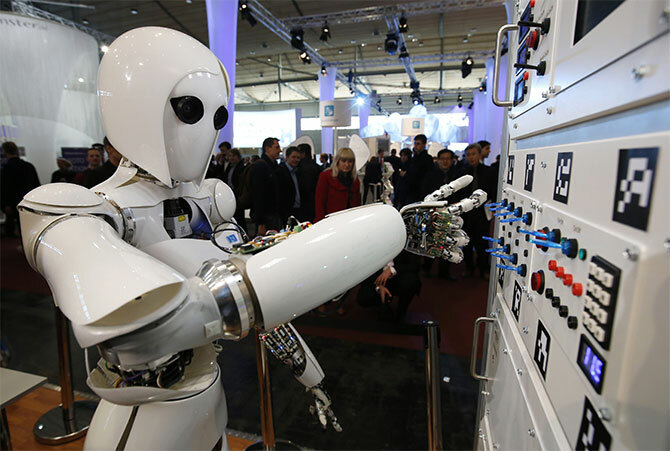 PopYard:Today's Tech.-Will Artificial Intelligence create new jobs or destroy them? As the government faces a difficult choice in keeping up with the rest of the world in AI development while making sure it does not add to unemployment, it has set up a task force to draw up a policy for the accelerated deployment of AI. A government task force is seeking public opinion on deploying artificial intelligence in manufacturing, healthcare, agriculture and the Aadhaar programme. The task force, set up in August, has been asked to draw up a policy for the accelerated deployment of AI and a five-year road map for its use in government and industry research programmes. "The job of the task force is to look at how we can use AI and the topic is so big we thought the public should also participate in it," said V Kamakoti, professor of IIT Madras, who is chairing the task force. The task force includes Gautam Shroff, vice-president and chief scientist at TCS Research; Ashwini Asokan, co-founder and chief executive officer of AI startup Mad Street Den; GH Rao, head of engineering and R&D services at HCL Technologies; and representative from various ministries. The government has embraced digitisation through Aadhaar, India Stack and UPI in payments, and is turning to technology to provide aid, education and healthcare to the poor. AI provides a mechanism to amplify these digitisation schemes. Kamakoti said a key job of the task force would be to study the social impact of AI. He added AI should replace hazardous jobs while the government should skill people for working in the era of AI. AI has been accused of being a technology that will take jobs away from humans but experts believe it will create new types of jobs. AI could create high-end technology jobs while replacing a large number of low-end tasks that can be automated. "Plucking coconuts from a tree is hazardous. Imagine, I build a robot to climb a tree. It is equipped with a sensor and a machine learning engine that can tell if a coconut is ripe. Now while that hazardous job is eliminated, it is not as if the robot will come to your house on its own, it will need an operator," Kamakoti added. The government faces a difficult choice in keeping up with the rest of the world in AI development while making sure it does not add to unemployment. Elon Musk, the founder of Tesla and SpaceX, has stated AI could become a threat to humanity if not kept in check and has sought a ban on drones in war zones. "Until people see robots going down the street killing people, they do not know how to react, because it seems so ethereal," he said in July. Bill Gates, co-founder of Microsoft, has suggested governments begin to charge a 'robot tax' once AI and mechanisation replace the human workforce. Union Transport Minister Nitin Gadkari recently said the country would ban self-driving cars as these would add to unemployment. "How can we allow such vehicles when we already have a large number of unemployed people?" he had said in July.